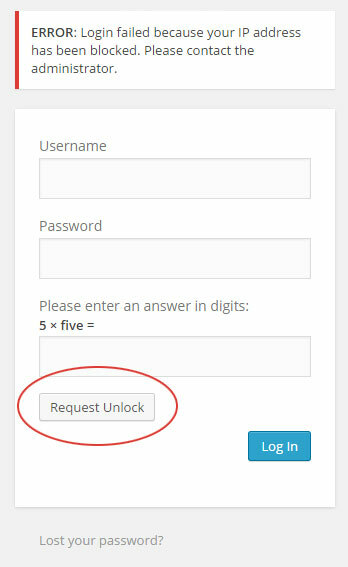 Click the circled button above to request an unlock email. Enter your email address to receive an unlock notification email. Once submitted you should look for an email called “[http://your-domain.com] Unlock Request Notification” which will contain an unlock link. Click or follow that link to unlock your account. This link will redirect you back to your login page where you can continue to login. 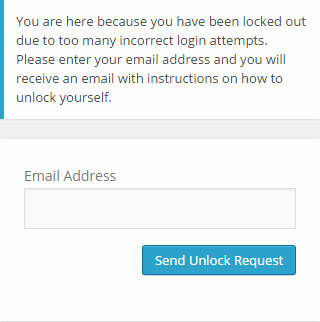 Should you have any trouble unlocking your account or have questions regarding the instructions above, please call IQComputing at 636-594-5552.